Wednesday evening found us back at Furman Park for the next in the series of Concerts in the Park. 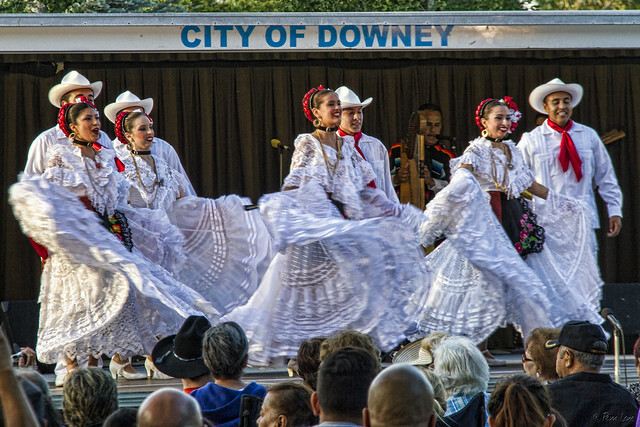 This concert featured Folklor Pasion Mexicana and Mariachi Garibaldi de Jaime Cuellar. 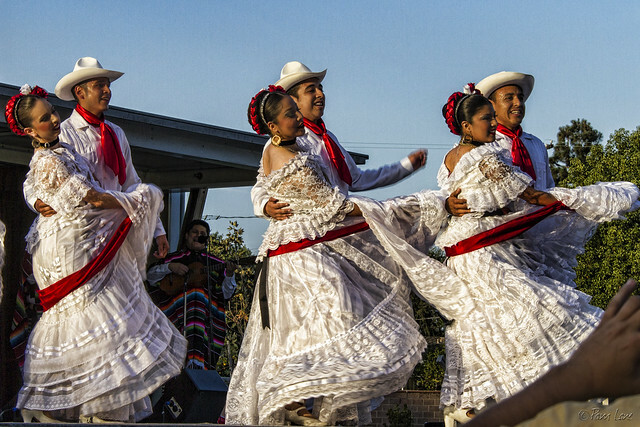 These pictures show Folklor Pasion Mexicana, who have been here before. I enjoy watching the swiftness and the swirling grace of the dancers, and the pure enjoyment on their faces. For this dance, the all-white costumes were particularly impressive. "Dancing with the feet is one thing. But dancing with the heart is another."